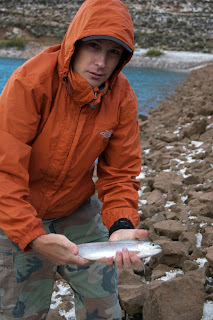 I'm just back from a holiday trip where I enjoyed good fishing, fall colors, warm sunshine, hard hail and cold winds. Welcome to September in Utah. 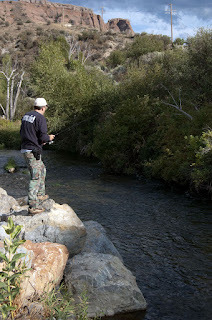 I spent my time fishing and exploring several waters in the Weber River drainage. To get there from my home in Springville I drove up scenic Provo Canyon, through Wanship and Coalville and down into Weber Canyon. Fall colors are coming on strong in those areas. At this writing there are still more green leaves than colored; the scenery is beautiful and the colors will definately become more vibrant during the next couple weeks. I'm guessing the colors will peak in northern Utah canyons during the final couple weeks in September. In low elevations in southern Utah they should peak in early October. My intention was to fish the Weber River in Weber Canyon, but I found the water there was high and muddy - too muddy to fish. Water managers are draining Echo Reservoir to do maintenance on the dam and so they are pumping more water than normal down the river. The reservoir is almost dry now and the water coming out is muddy. Water in the Weber above Echo is clear and fishing conditions are good. 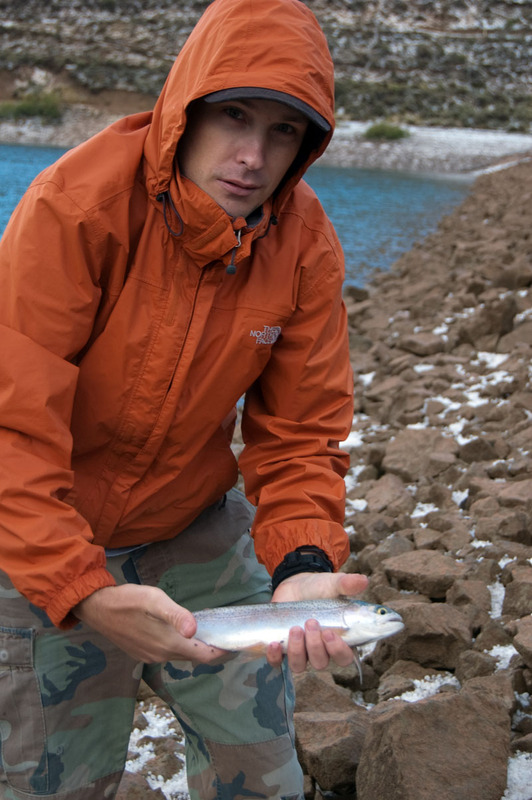 Since we couldn't fish the Weber in the canyon we elected to try Lost Creek, one of its tributaries, and we also spent a little time fishing Lost Creek Reservoir. We hooked into a couple nice browns and a tiger trout in the stream and caught small rainbows in the reservoir. Action wasn't hot but we caught enough fish to keep things interesting. It was sunny and warm as we started fishing but it soon became cloudy and rainy. We fished in the rain for a few minutes but headed to the car when it started to rain hard. As we took referage the rain turned to hail and it came down incredibly hard. Marble-sized hailstones soon covered the ground and started to accumulate. Within a few minutes there was an inch of hail on the road and we encountered white-out condtions. It was spooky sitting in the car, not being able to see the road or the hillside or the canyon off to our right. The storm ended as quickly as it began, but gusty winds continued. When conditions improved we fished the reservoir. As we caught fish and got our hands wet releasing them, the wind felt cold. Several powerful thunderstorms moved through Utah late last week. They dropped hail in areas and caused flooding in several spots. Some slot canyons in southern Utah were closed because of flash flood danger. The storms have now moved out of the state and we expect drier weather this week. Weather can change rapidly in Utah during late summer and fall. I can feel change in the air. Nights are starting to cool off nicely. We will still have several weeks of warm weather when you can engage in all kinds of outdoor activities, but be aware that storms can come quikcly and can be cold, especially at higher elevations. Fall is coming fast now. I'm voting for a long, warm Indian Summer.